Hi everyone! I’m blowing into At the Picket Fence on the tail end of Hurricane Irma! As we watched this storm increase in size and force our prayers were with our friends and family down in Florida. Little did we realize this “not so Southern lady” would make her way her to the Atlanta area! While we have some yard and debris clean up to do around our home we are so thankful that we didn’t experience anything worse. We did have many friends near us that lost cars to trees falling and had damage to their homes. Those things can be replaced but THEY cannot be, so we are grateful everyone made it through safely! While Hurricane Irma blew through here I was busy photographing our home for a fun FALL HOME TOUR sponsored by our friends over at Shaw Floors! Welcome to our Southern Fall Home! You may remember that we had these beautiful Grant Grove Mixed Width Epic+ Hardwood floors installed by our friends over at Kemp’s Dalton West Flooring last November. In fact, we were putting our home back together two days before Thanksgiving last year! Just in time for us to welcome our friends and family in to spend Thanksgiving weekend with us, but not much time to decorate for my favorite season…. AUTUMN! 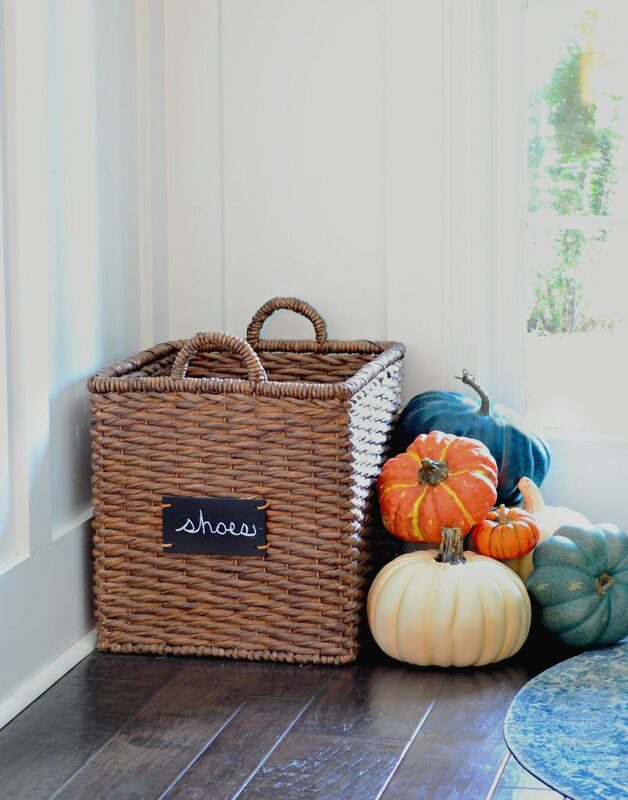 I was so excited this week to pull out my bins of fall decor and spread some fall love around the house. 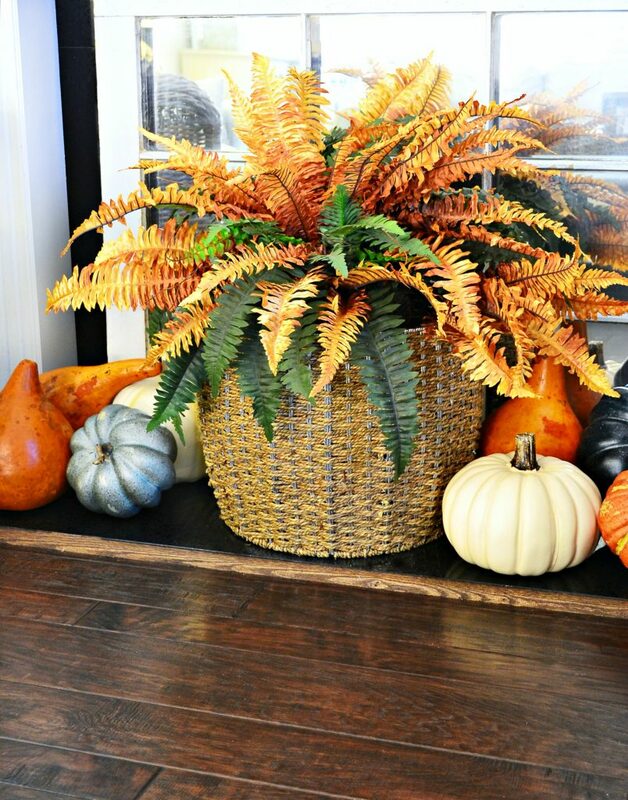 While we didn’t like most of what Irma brought with her to the south, she did bring cooler temperatures setting the perfect stage for some fall decorating. Here in the south early September usually feels like late August and there isn’t a pumpkin or cornstalk in sight! But yesterday with the temperatures in the low 60’s, and my favorite autumn candle burning, it felt just right to pull out my faux pumpkins and adding some autumnal colors to our home. Because we are in the middle of selling this beautiful home, I wanted to keep it simple! 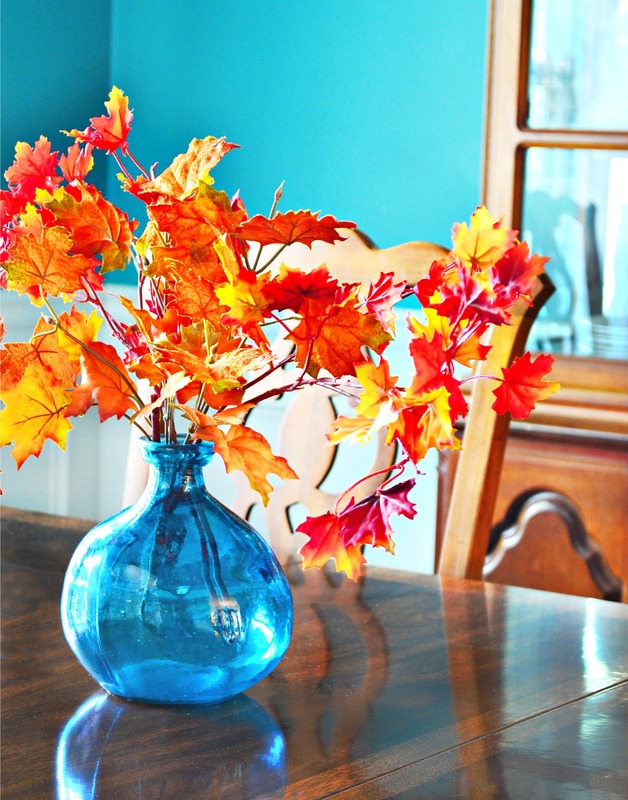 I know the importance of keeping a home “on the market” neutral, but I think even the pickiest potential buyer can appreciate the touches of fall around our home. 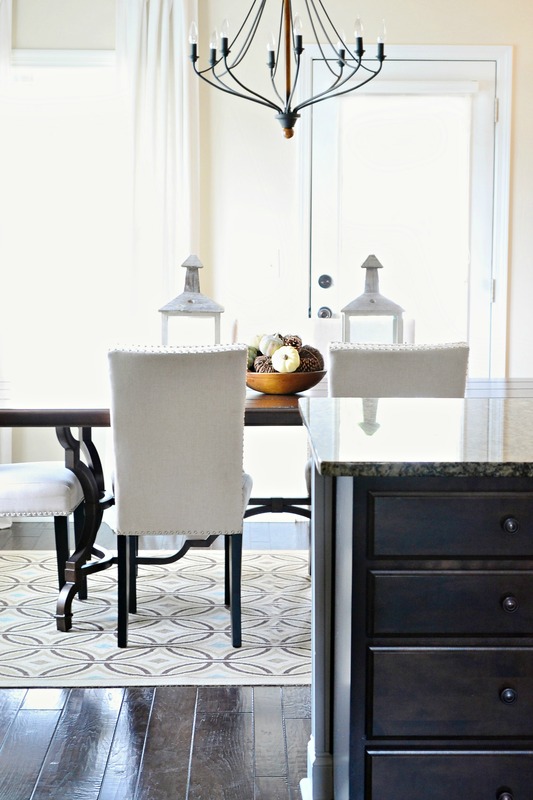 One of the biggest compliments we have received from agents and buyers looking at our home is our gorgeous floors! We get asked about them every time someone enters our home and we can say with complete confidence they were the perfect choice for our home and our family! The beautiful hand scraped finish has withstood teenagers, dogs, and several gatherings of friends and family! 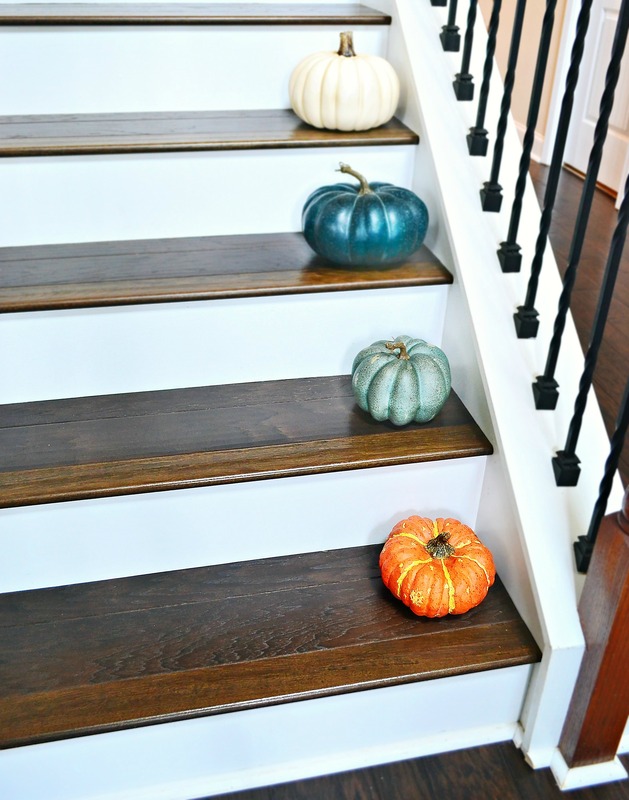 The BEST decision we made was placing Grant Grove Epic+ on our stairs! We love the look of them from our front entrance. 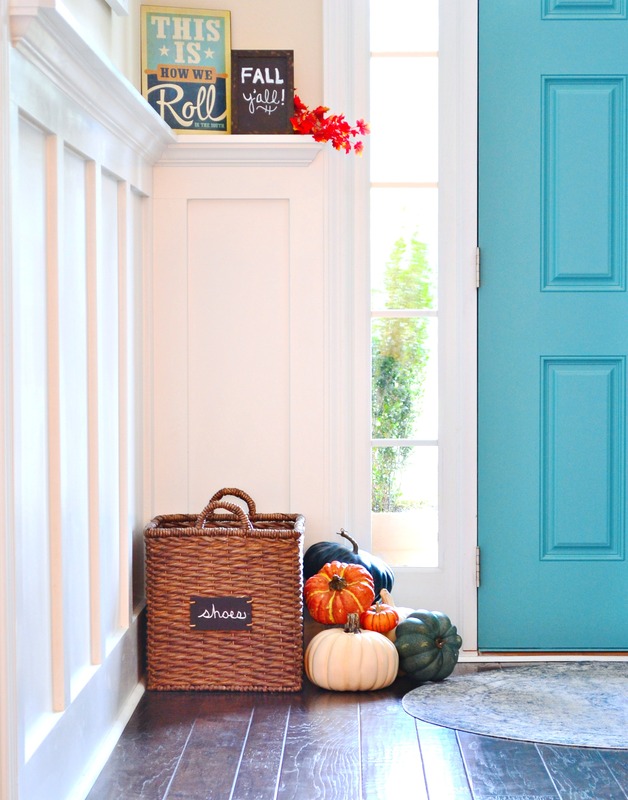 Be sure to visit my friend Brittany’s beautiful home tomorrow over at Addison’s Wonderland for the next stop on our Shaw Floors Fall Home Tour! 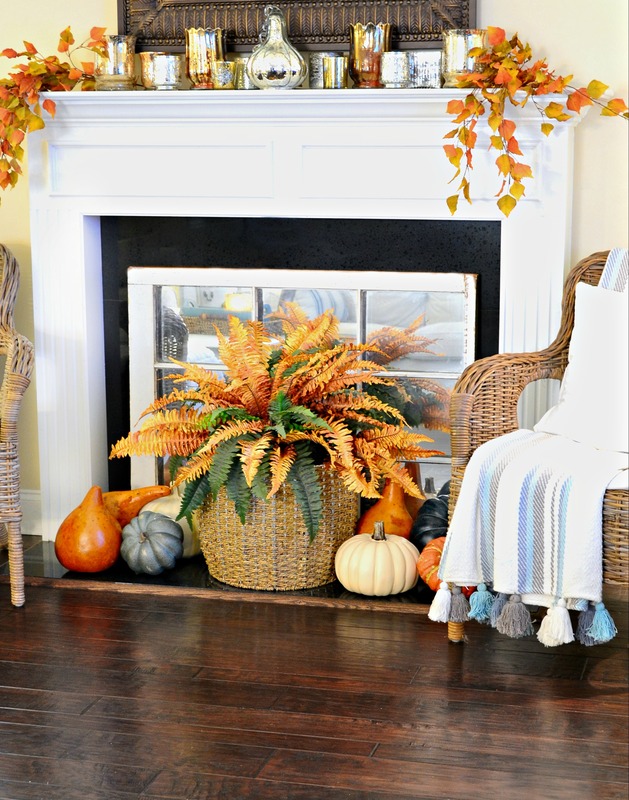 5 Comments on "Fall in the South with Shaw Floors"
These floors are gorgeous. The dark color of the floors makes the fall colors pop! Great job! You truly have gorgeous floors!!! 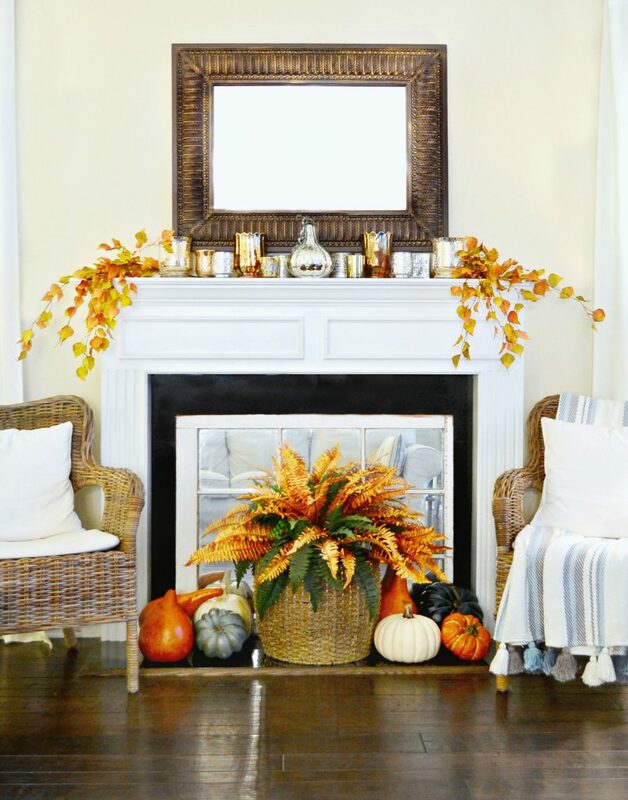 .. Love all of your Fall decor. How did I miss the fact that you are selling your home. Are you staying in the Atlanta area? Great floors but I HAVE to know the color of your front door!! !